Grow cilantro in full sun and well-drained soil with a pH of 6.2 to 6.8; it will tolerate light shade in the South and Southwest where the sun is intense. In the South and Southwest, plant in the fall or the spring about a month before the last frost. Fall is the ideal time to plant in zones 8, 9, and 10 because the plants will last through until the weather heats up in late spring. When plants begin to bloom, the foliage becomes scarce; for steady harvest, set out transplants every 3 to 4 weeks until the weather gets warm in spring, or until the first frost of fall. The flavor of leaves as the plants flower is less aromatic, too. Cilantro frequently self sows. 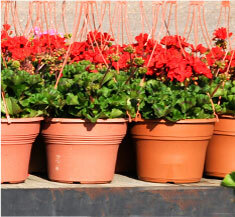 As seeds fall to the ground, little plants often come up during the season and the following spring. 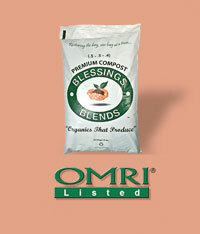 Apply Blessings Blends OMRI- Listed Premium Compost (.5 – .5 – .4) for best results.